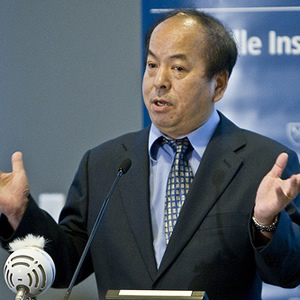 Yawei Liu is Director of The Carter Center’s China Program. Yawei Liu has been a member of numerous Carter Center missions to monitor Chinese village, township and county people’s congress deputy elections from 1997 to 2011. He has also observed elections in Nicaragua, Peru and Taiwan. He has written extensively on China’s political developments, grassroots democracy and US-China relations. Yawei edited three Chinese book series: Rural Election and Governance in Contemporary China (Northwestern University Press, Xian, 2002 and 2004), the Political Readers (China Central Translation Bureau Press, 2006) and Elections & Governance (Northwestern University Press, 2008). He is the coauthor of Obama: The Man Who Will Change America (Chinese language, 2008). He is the founder and editor of China Elections and Governance (www.chinaelections.org, a website sponsored by The Carter Center on political and election issues of China. It was forced off line by the Chinese government in April 2012; it can still be accessed outside China.) He has also published numerous commentaries in Global Times, Study Times and China Youth Daily. Recently, Yawei was involved in launching a new magazine called US-China Perception Monitor, part of the new initiative on US-China relations by The Carter Center (www.uscnpm.org). Yawei is also the associate director of the China Research Center based in Metro Atlanta (since 2007). He was president of the United Society of China Studies(2010-2011). He is a senior fellow at the Chaha’er Institute, a think tank based in Beijing. He is visiting professor at the Institute of Advanced Studies in Social Sciences at Fudan University (since 2008) and a research fellow at the School of International Affairs and Public Administration at Shanghai Jiaotong University (since 2010). Yawei Liu is a professor of political science at East China Normal University and adjunct faculty member at the Department of Political Science at Emory University in Atlanta, GA.
Yawei Liu earned his B.A in English literature from Xian Foreign Languages Institute (1982), M.A. in recent Chinese history from the University of Hawaii (1989) and Ph. D. in American History from Emory University (1996).